LAW Commission signifies the strength of a legal system. 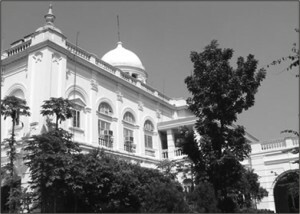 Recently the Law Commission of Bangladesh has been reconstituted with a retired Judge from the Appellate Division of the Supreme Court, an academician and a Judge from the subordinate Court. With the changing circumstances the role of the Bangladesh Law Commission needs to be revisited and re-evaluated. The canvas of the Law Commission is pervasive. This statement is true when we consider that the Law Commission can also take steps suo moto apart from government's request. The legal grievances of our people, their fobs and sorrows, their pathos and bathos have to be objectively studied by it. The government should treat the suggestions of the Commission as the property of the nation irrespective of the fact that the decision-making forums rest with the judiciary, executive and deliberative wings whether they concern the economy, environment, science and technology or rearranging of national or regional priorities. One peculiarity of the Law Commission Act is that it has named the trend of economic and trade globalisation as one of the subterfuge of establishing the Commission. Splendid indeed! The guiding principle of the Commission can best be illustrated by resorting to the proposition made by Lord Chancellor Westbury in a 1863 speech. This is what he said "The statute book should be revised and expurgated, weeding away all those enactments that are no longer in force ... eliminating jarring and discordant provisions, and thus getting a harmonious whole instead of a chaos of inconsistent and contradictory enactments". A perusal of this speech would reveal the following four fold goals of a Law Commission; I. renovations (by weeding away obsolete enactments) II. order and symmetry (by arranging and classifying enactments) III. easy access to legislation (by consolidating the dispersed amendments together) and IV. harmony (by eliminating the discordant and jarring provisions of law). A systematic persuasion of these goals can obliterate the useless laws of the past, make the present organized and equip us to face the challenges of future. Over the time the Bangladesh Law Commission has made considerable recommendations to the government on points of legal reforms and research. It is true that the percentages of the implementation of the observations of the Commission are too meager. In the last caretaker regime, Law Commission was asked to give opinion on the point as to whether members of the caretaker government can be increased beyond 10. The Commission answered in the negative. But a hoax was played by bypassing this observation. Indirectly, assistants to the advisers were appointed which might not have been done directly. In 2006, Law Commission gave a practicable and suitable recommendation to review the legal education of Bangladesh, a neglected sector. The report is not even discussed let alone implemented. In this way Commission's intellect has not been used to best extent possible. Being discouraged perhaps, the performance of the Law Commission has not been vivid as we expected over the years. 1. Technologically advanced and well-equipped Law Commission is needed. Visiting the Commission's website the author had the impression that it is not regularly updated. Even the assumption of the office of new members of the Commission still is not mentioned there. It is the obligation of the government to decorate the Law Commission with necessaries as urged by the law. As the office Old High Court Building is fine but not finest. 2. Well, even if Law Commission's recommendations are not paid heed to, it has a great research value. The legal education of the country may be benefited from Commission's study. Specially, where the legal research has now been shifted to NGO focused job, Commission has a role to play to carry out substantive jurisprudential law investigation. 3. In countries like India law students get opportunity to work with Law Commission in terms of Internship. There is no reason why such novelty should not be opted in Bangladesh for the novice legal learners. 4. In order to make the Law Commission more vibrant, continuous and reliable permanent member of highest judicial and legal competence should be appointed apart from the members. In Indian Law Commission such is the prevalent culture. 5. Website development, updating and publishing of the Commission's work are important. It is good that the past reports of the Commission can be found in the Commission's website. But it cannot be traced that how many reports are accepted and implemented by the government. Above all dissemination of legal knowledge can also be an area where the Commission has a substantive role to play. Back in the history, Lord Macaulay's Penal Code were so widely circulated even in the height of those colonial days in 1840's that there is an adage like this “Every little herd boy carried a red umbrella under one arm and a copy of the Indian Penal Code with the other and thus its provisions were made known even to pardanashin ladies!” Discard this sarcasm, Commission's reports are important simply because it can also be referred to in judgment dispensation. S. M. Masum Billah is Assistant Professor, Department of Law, Northern University Bangladesh (NUB) and working with Law Desk.